It’s been a little more than four months since Trump declared the nation in a state of a public health emergency due to the staggering numbers in the populations of addicts and overdoses that are stealing young lives from families all over the country. What he didn’t address in that declaration, was how to combat the problem. Nothing further was said, and some speculated he was only addressing the issue to calm nerves and quell naysayers. Trump along with the rest of the White House have been trying to rally more of a positive movement to change the devastating direction of the epidemic by releasing a budget proposal that will fund the services and departments that will assist in combat the opioid crisis. In his proposal, the president allocated $3 billion in new funding for the 2018 year, and then $10 million in funding for the 2019 year, which will go to the Department of Health and Human Services. 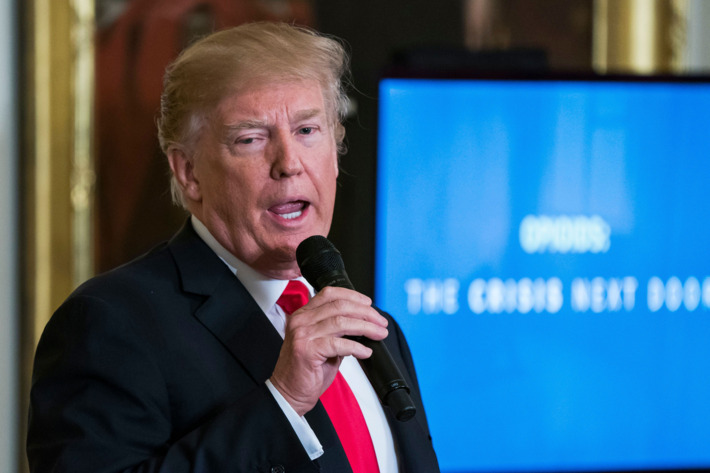 During the summit he also addressed the interactions of drugs coming from foreign countries and was harsh with his suggestion of handing down the strongest penalties possible for drug traffickers. Attorney General Jeff Sessions was also in attendance at the summit, though both the President and the Attorney General did not directly interact, he was referenced in during the speech. He announced amid the heightened tensions with Sessions, he agreed with part of his approval for holding the pharmaceutical companies accountable. “I’ve spoken with Jeff about bringing a lawsuit against some of these opioid companies,” Trump said.